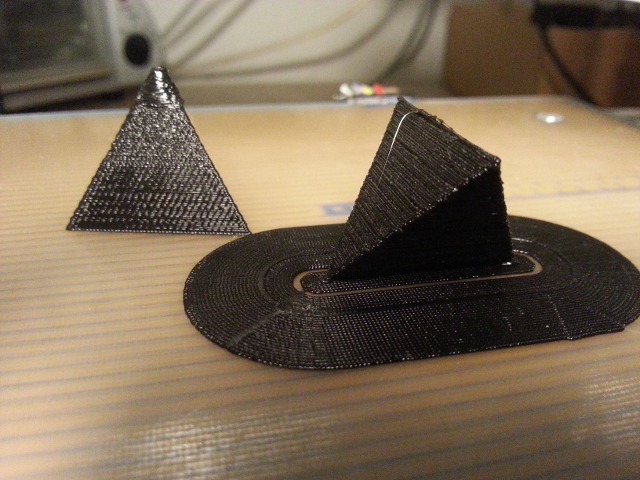 If the last layer ends in a peak then it can happen that the filament does not cool down fast enough. There are options to slow down printing when the area gets small and turn the fan on. But this works just down to a certain area, but there is always the hot extruder beneath the small area. An other way out is printing multiple parts at the same time or flip the part and use supporting material as a brim.